Locker Rooms, bathrooms, showers, pools, whirlpools, saunas, etc. 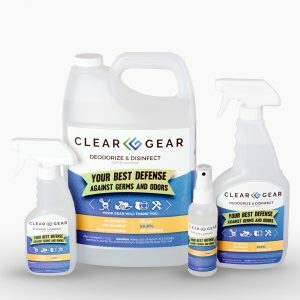 Talk with your gym about their protocols – do they have disinfecting wipes for members to use, do they use a spray disinfectant like Clear Gear each night to clean the equipment and facility? Ask how they keep members safe. Gym owners and managers play a critical role in keeping gyms and facilities infection free and controlling odors! Just as important as understanding why you need to disinfect gym equipment is knowing how and what to clean. 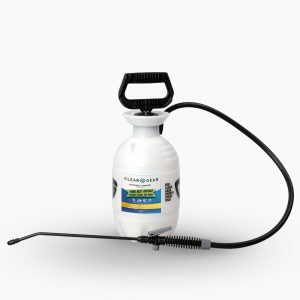 Disinfecting wipes are a great way to have members help to clean equipment, but they don’t thoroughly disinfect and many members don’t use them. Ideally, gyms will proactively disinfect and deodorize equipment and facilities during the day and at closing time. Keeping your gym disinfected is easier than you think. 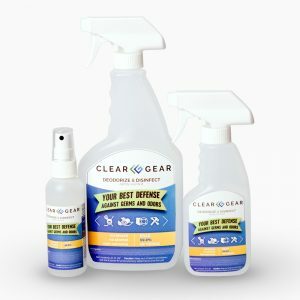 Clear Gear Spray is an EPA-approved disinfecting and deodorizing sports gear and equipment spray that kills 99.9% of bacteria, viruses, and fungi. 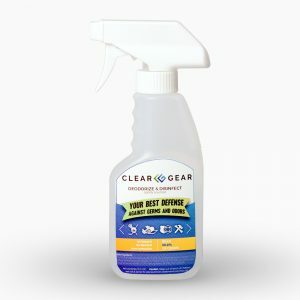 Clear Gear Spray cleans in one easy step and is safe to use on all kinds of equipment. Plus, it has a light scent, which means it doesn’t have overpowering noxious fumes for members. 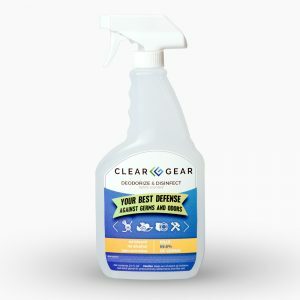 The newest addition to the Clear Gear line of products is the sought after 1 Gallon sprayer.